Conquer Under Desk Portable Treadmill makes it easy to stay active while you work. 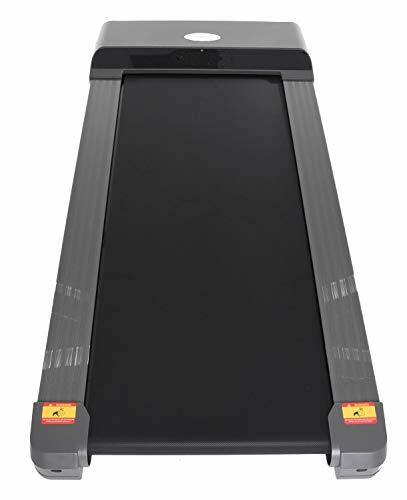 This slim and portable walking treadmill comes fully assembled and ready to put under a standing desk right out of the box. Use the wheels on the front of the machine to roll it into place and get the most out of your standing desk. 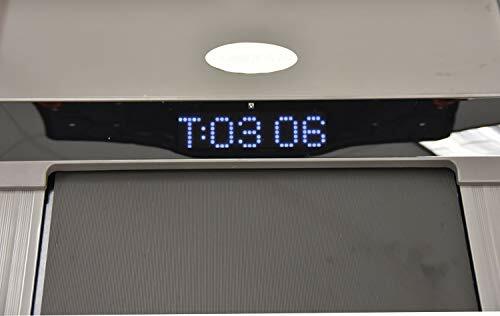 The handy remote control adjusts speed and there is an easy to read large display on the treadmill's front. The unit has smooth, quiet operation and its rubber feet will help protect the floor during use. 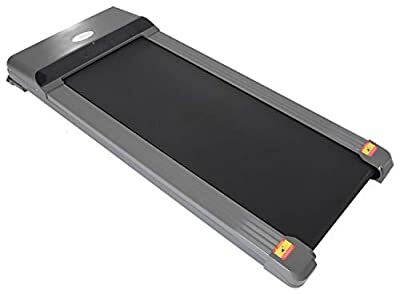 The Conquer Under Desk Portable Treadmill Walking Pad is compatible with most standing desks and can be easily stored when you are done for the day. The unique space saving design has a smart wheel mechanism which doubles as a stand for effortless vertical storage. The walking treadmill has a small footprint and measures 54" long, 23" wide and 5.5" high. Speed range is 0.6-3.7 MPH (or 1.0-6.0 KM/H). Maximum user weight 198 lbs/90 kg. Make fitness a daily priority. Get up, burn calories and walk while you work on the Conquer Under Desk Portable Treadmill.